Following the high level of unemployment on the Wecock Farm estate, we offer a mentoring programme, work placement scheme and budgeting sessions in addition to the traditional job club drop in sessions, CV and benefit advice. 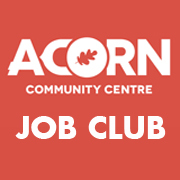 As part of our Job Club we intend to make strong links with key local employers, particularly those who advertise ‘corporate social responsibility’ , to develop a work placement scheme and organise Interview Skills training with practical dress rehearsal interview sessions to enable feedback for participants to assist them when attending actual interviews in the future. We will use peer support for group members to support each other by sharing experiences, networking with other job seekers, giving access to advice and knowledge, accountability and structure to raise self esteem and confidence with a ‘pay it forward’ approach by training local people to assist others in similar circumstances. We are here to help you achieve and succeed in life, so why not pop along and meet the team. We will be more than happy to help.